Purchasing expensive products online can seem risky. But while some consumers hold concerns over the authenticity of jewelry and watches purchased digitally, retailers face a different set of fraud challenges: card-not-present fraud. These retailers often struggle to find a balance between CNP fraud prevention and providing a smooth shopping experience due to rigid fraud filters that can block good customers. 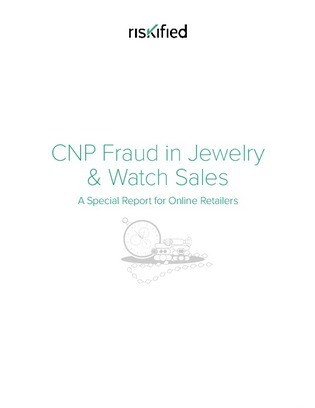 Download this report to learn about CNP fraud prevention in the online jewelry and watch industry, and how you can improve your security without affecting customer experience.